otta love before and afters. Here’s another one. 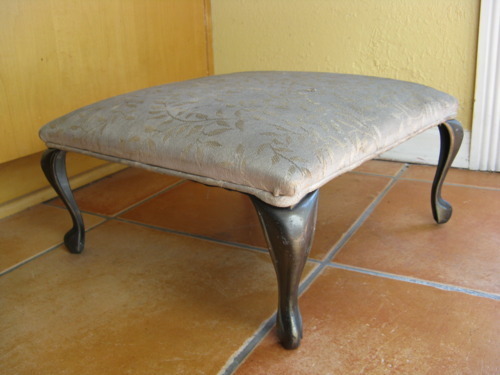 I found a small footstool at a thrift shop and loved the overall shape of it. But the fabric left a lot to be desired. 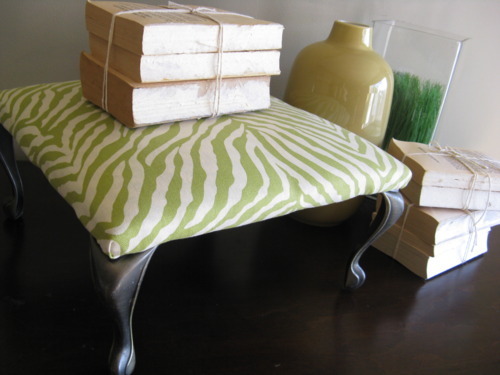 So I found some fresh green zebra print fabric and covered the top. It’s just that simple. Staple gun. Fabric. Phillips screwdriver. Patience.